What is Important Equipment in Drilling Waste Management? Drilling waste management entails all processes and precautions required or recommended to ensure a safe environment. Drilling waste contains spent fluids and drilling cuttings that result from the drilling process. 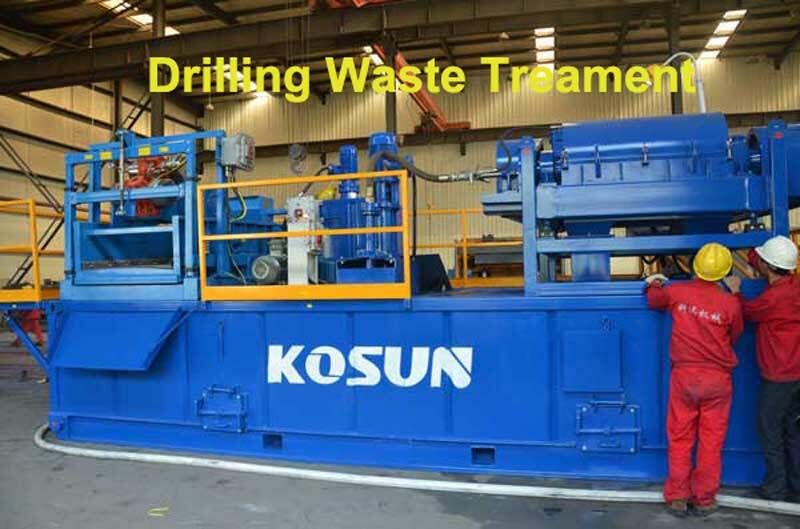 The spent fluids and drilling cuttings that are referred to as drilling waste have no use in the ensuing drilling process therefore must be disposed of. However drilling waste treatment requires that the set environmental management standards and regulations are adhered to for the maintenance of a safe environment and also in order to avoid legal disputes and penalties. 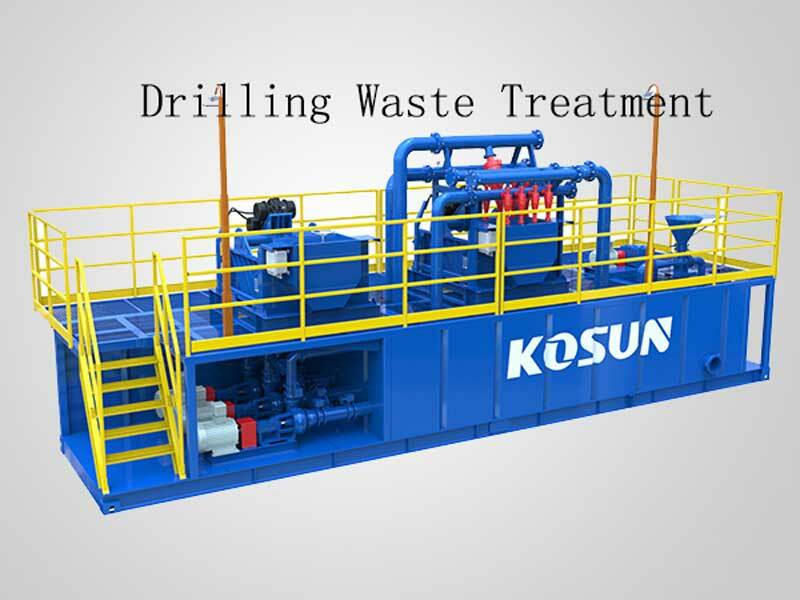 Drilling waste management system therefore is concerned with using materials, substances and facilities in the drilling process that minimize drilling waste while at the same time employ proper disposal of waste in a manner that reduces toxicity. Cuttings dryer is a core equipment in drilling waste management because it enhances environmental protection. 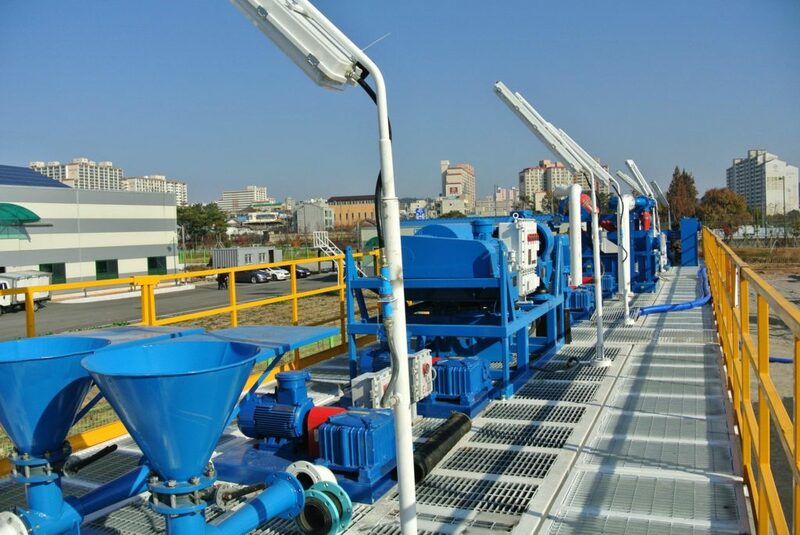 Designated to meet the strict environmental conditions and guidelines imposed on disposal of cuttings and work site, it utilizes high-speed decanter centrifuge which optimizes liquid and solid separation in high volume processing. • Rational structure built into the bedplate that adjusts and balances the distribution of vibrating motion. • Enhanced protection of spare parts with wear proof measures which include use of stainless steel for mesh screen and spiral scraper to guarantee long service life. • The torque sensor which helps regulate the motor in case of overload in operation thus ensuring reliable operation. • Viewports on cone header and bedplate making it easy and convenient to inspect and maintain the screen mesh and spiral scraper. • The equipment uses centralized lubrication station which facilitates ease of flow of lubricant to machine parts and reduces damage due to poor lubrication. The cutting dryer is a welcome and indispensable aspect of waste management, designed with respect to maintaining a safe environment. Drilling fluids and cuttings are emitted during drilling. 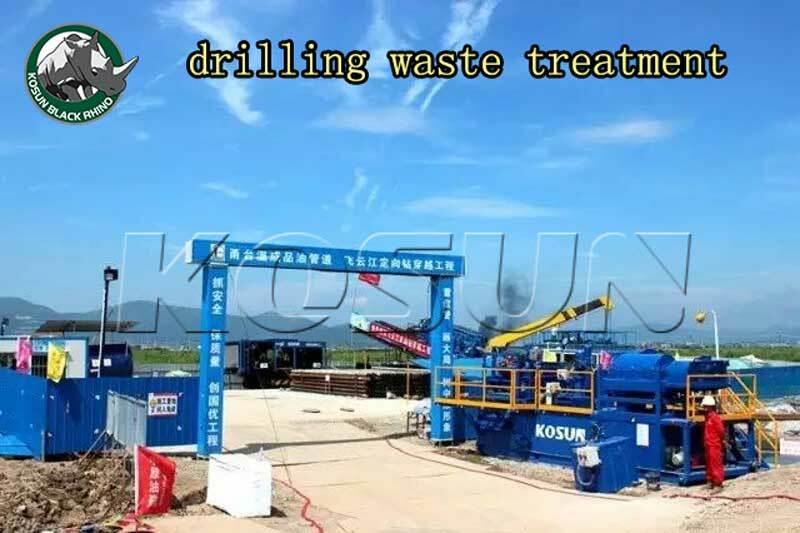 According to the American Petroleum Institute estimates that only 1995, the United States onshore drilling to produce about 150 million bbl drilling waste, so the drilling waste recycling is urgent need nowadays. 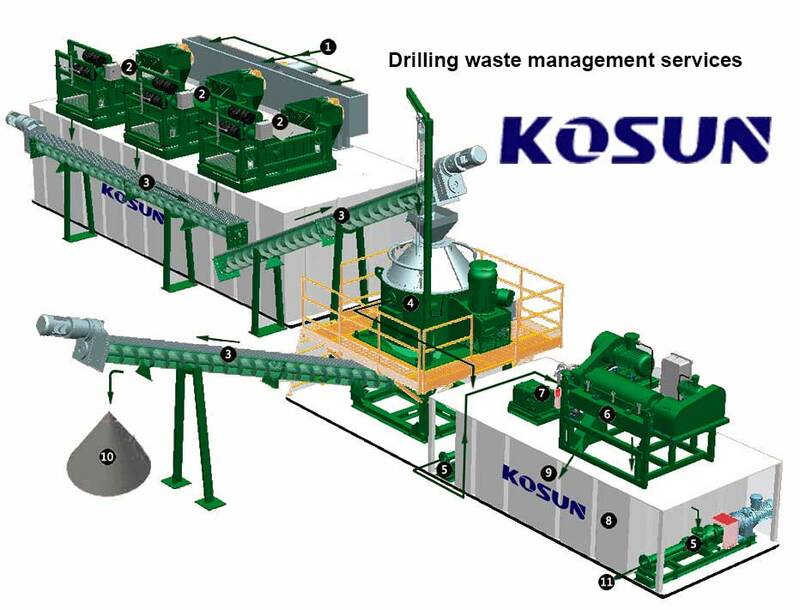 (3) Drilling waste treatment that can not be recycled by lawful meant. The new synthetic base drilling fluid has the drilling characteristics of oil-based mud, but does not contain polycyclic aromatic hydrocarbons, but also has low toxicity, faster biodegradability and low bioaccumulation. Will not bring great environmental impact to the seabed. Compared with water-based mud, synthetic mud makes the wellbore cleaner and more stable, resulting in fewer cuttings and can be recycled, usually water-based mud cuttings directly into the sea. Will be used oil-based mud and water-based mud recycling, to minimize the amount of drilling waste emissions. Conventional land-based drilling waste is treated by first extracting the liquid portion of the slurry pool and then landing or dispersing the remaining solid material in situ. In oil and gas production areas, oilfield waste is dedicated to landfills; other areas will meet the emission standards of drilling waste transported to urban or industrial waste landfill. Another approach is to recycle the waste into the formation through the drilling annulus, including pouring the effluent into the formation fractures at a pressure above the formation fracture pressure or pouring the effluent into the formation at a pressure below the formation fracture pressure Natural cracks and salt holes. 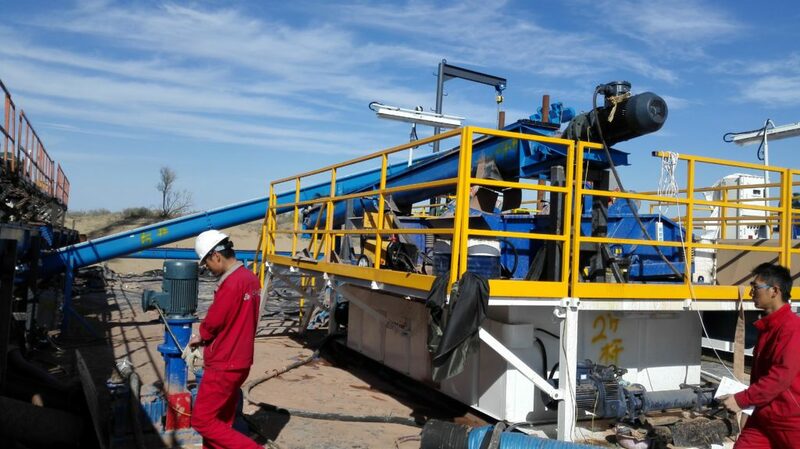 Oil and gas industry has made great progress in environmental protection, there are a variety of drilling waste disposal methods, operators can be in accordance with the relevant legal requirements, cost and environmental requirements to choose the most appropriate drilling dirt treatment methods. New drilling waste disposal methods are being studied to meet future environmental requirements. • It is good for the environment and saves energy. • It reduces the cost of operation as we get to reuse the materials.